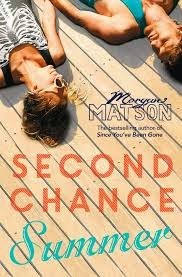 Really excited to present an interview with Morgan Matson, to coincide with the gorgeous new cover of her fantastic book, Second Chance Summer! I think Second Chance Summer was one of the books that made me cry most when reading it! Which books have left you in floods of tears, if any? SO many! I’m a total book crier. (And I always seem to read those books in public, for some reason. Why is that?) I made the huge mistake of reading The Fault in Our Stars on a plane, and I was a blubbering mess. My seatmate kept moving farther and farther away from me! Imagine a genie in a bottle popped up, and gave you your own ‘second chance’ to do something you wish you’d done (or take back something you wish you'd not done!) What would it be? Oh that’s such a hard question! On the one hand, I can think of about five examples. BUT on the other hand, all those choices got me to where I am now, which is pretty good! So I’m torn. I’ve also seen enough time travel movies to know nothing comes without a price! So I might thank the genie and send them on their way and keep things as they are. Second Chance Summer feels like a very different book from Amy & Roger’s Epic Detour, your debut (although I loved both, obviously!) Amy & Roger was full of receipts, playlists, motel reservation slips, and similar, while Second Chance Summer is more conventional. Did this difference affect the way you approached writing them? It didn’t, really – it just felt like two different ways of telling two different stories. I’d thought about maybe doing playlists for Second Chance Summer, but soon realized it just wasn’t that kind of story. And I didn’t want to force a device just for the sake of having one! Another difference is, of course, that Amy & Roger is about a road trip and Second Chance Summer focuses on one location. You mentioned last time Iinterviewed you that you’d love to do a road trip across Australia (any luck with that?) but if you could spend one month of summer in just one place, where would you go? No Australia road trip yet (SOB). I’d love to spend a month of summer in Amsterdam! I was just there, and I adored it. The day your book published was also Election Day in the UK! Which YA author do you think would make the best Prime Minister or President, and why? J.K. Rowling! She’d have my vote, hands down. The origin of a quote! I thought it was John Lennon, but it turns out he was just quoting someone else. Led me down quite the rabbit hole! Last time I interviewed you, you mentioned your love for Harry Potter and his friends. Have you been sorted on Pottermore? If so, which house did you end up in? I haven’t been yet! I should do that! I think that I’m somewhere between Gryffindor and Ravenclaw. It depends on the day! I’m working on my next book! Coming in 2016! Can't wait for that! Thanks so much for talking to me, Morgan. What a fab interview Jim! I think J K would make a fab president too. And I would so prefer a road trip through America than Australia but that does still sound pretty cool.